Biden said: "I wish I could have done something — I opposed Clarence Thomas’ nomination ... But I also realized that there was a real and perceived problem the [Senate Judiciary] committee faced: there were a bunch of white guys. No, I mean it sincerely. There were a bunch of white guys hearing this testimony." Some 2020 Dems haven’t even formally announced. 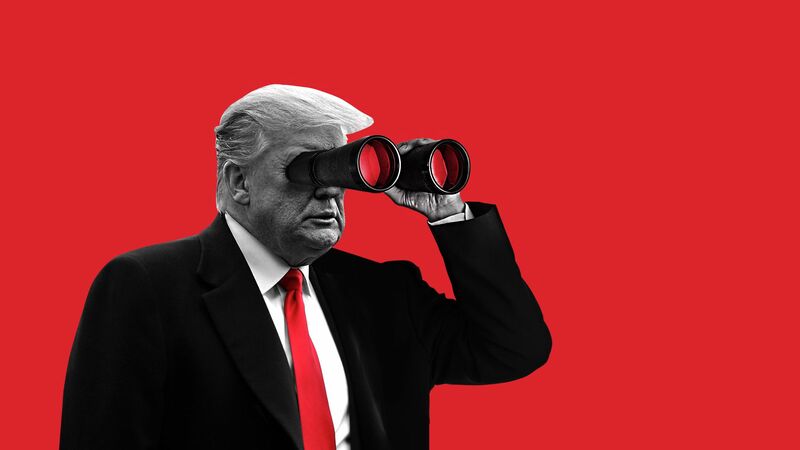 But President Trump's campaign is already gathering ammo on them, Axios' Alayna Treene reports. The Democratic campaigns are getting all the attention right now. Trump's team is quietly following them — sending trackers to their events, and savoring each proposal aimed at the challengers' liberal base. Trump's campaign plans to use the left's ideas, including progressives' push for a larger Supreme Court, to make the eventual nominee look extreme. The RNC, taking the lead on opposition research for Trump's campaign, is funding a network of trackers in early states. They're already out filming Democratic candidates, trying to catch mistakes — especially in smaller, more rural settings that may get less coverage. "We started gathering research on 2020 candidates in spring of 2018," said Mike Reed, the RNC's research director. The RNC will try "to make whoever the nominee is radioactive well before they get the nomination," a former campaign official told Axios. "That’s Trump’s strategy: Stay at 45-46% [in the polls] and just make the other guy [or woman] radioactive." 2. Scoop: Surprising stop on Trump's "victory lap"? Yesterday's post-Mueller trip to Capitol Hill was being called a "victory lap." Feeling his oats, he opened a push to entirely repeal "Obamacare." Nothing has been decided yet, but we're hearing Trump hasn't said no to speaking at the April 27 dinner. Just before the first anniversary of Trump's election, Bush said, "I'm trying not to think about it. We're a strong country, and I think it will all work out." 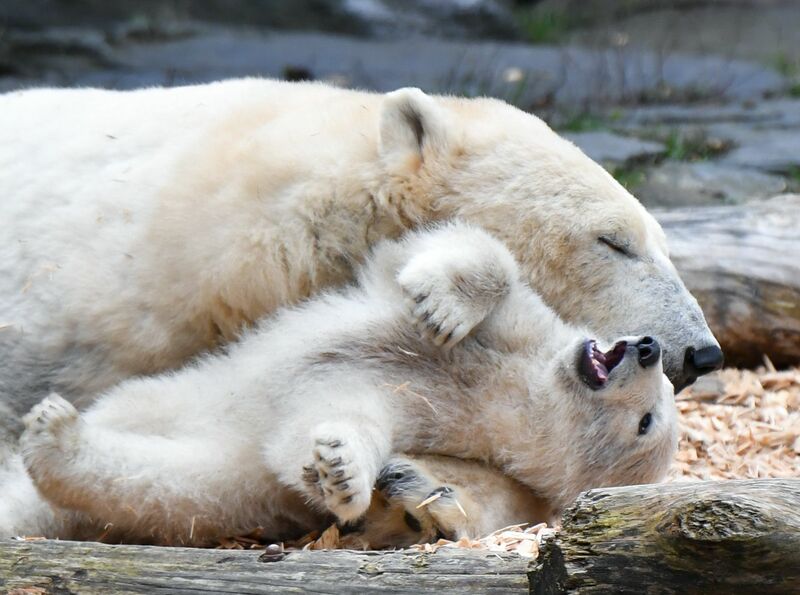 A four-month-old polar bear cub cuddles with her sleepy mom, Tonja, in the Berlin Zoo. "You guys have done a great job on the Green New Deal. But don't kill it too badly, because I want to run on this" in 2020. The news: No Senate Democrat voted for a Green New Deal resolution when Senate Majority Leader Mitch McConnell brought it up for a vote — even though they’re all co-sponsors. All but two Dems voted "present" (neither for nor against), because they thought McConnell was trying to trap them — to put them on the record so they can be held accountable in campaigns. "It couldn’t have gone better for us," said a Senate Republican leadership aide. "Everyone’s happy this got a vote and that it was unanimously rejected by the Senate." So that's Republicans' message: The Senate unanimously rejected the Green New Deal, one of Democrats' defining policies of 2020. P.S. ... Senate Republicans were quick with a video to hammer home that messaging. Yes, but: The vote was procedural and Democrats argued McConnell held the vote in order to eliminate any debate, hearings or public testimony about the resolution — or its merits. Big Tech is following a familiar pattern: Launch in a single lane, expand, kill competition, capture more and more of your users’ waking hours, kill more competition, expand more, and all the while deaden any public suffering with free services, writes Axios' Erica Pandey. The big picture: With immense, monopolistic power, Big Tech platforms are behaving like governments, taxing competition with sky-high fees and marching across industries. Driving the news: Yesterday, Apple announced its latest gambit — movie, music, news and banking services, following Amazon and Google, which have both ballooned far beyond their original business lines. How Apple can pull it off: It shares an effective duopoly with Google in mobile app stores. "That is why they can set their tax so high," Jonathan Tepper, author of "The Myth of Capitalism," tells Axios. "They can dictate terms for buyers and sellers." 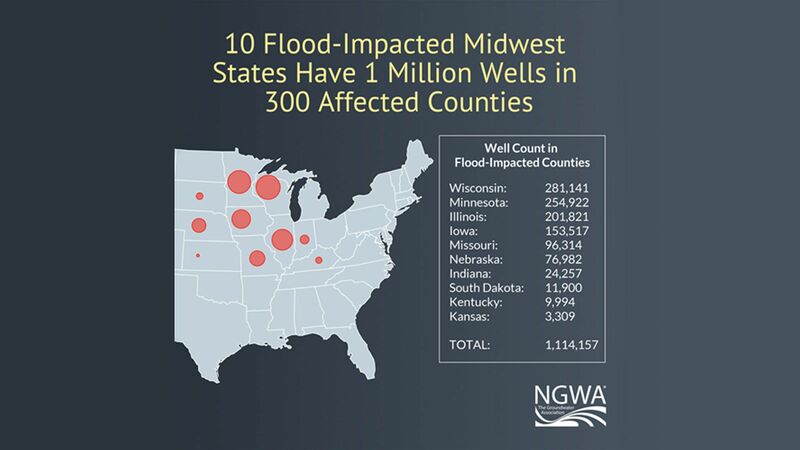 "More than 1 million private wells that supply drinking water in mostly rural parts of the Midwest could face the risk of contamination from floodwater," reports the AP's Jim Salter from St. Louis. "The high water and swift current carries raw sewage from overburdened treatment plants, animal waste and pesticides from farm fields, and spilled fuel." It "can carry bacteria such as E. coli that can cause gastrointestinal illness, reproductive problems and neurological disorders, according to the Centers for Disease Control and Prevention." Why it matters: The government "estimates that about 15 million U.S. households — most often in rural areas that don’t have access to public drinking water systems — rely on private wells." "Those wells are not typically regulated by the Environmental Protection Agency, so it’s up to the well owner to make sure the water is clean." "Rising mortgage rates and home prices, especially in urban centers, are once again motivating buyers to drive until they can afford a home, including in Dallas, Las Vegas, Atlanta and the San Francisco Bay Area." By the numbers: "These buyers, often millennials and retirees, purchased homes on average more than 16 miles from central business districts in 2018, the greatest distance since 2004, according to Fannie Mae loan data." "They’re in a billion pockets, y'all. A billion pockets." "Many people are giving up cards in favor of digital alternatives or are simply sending fewer cards between major holidays like Christmas and Valentine’s Day," reports USA Today. "One of the huge factors impacting that is technology and social media and the ability to contact people for special occasions through these platforms," said IBISWorld analyst Tanvi Kumar. Yes, but: Don't blame millennials, who are increasingly sending traditional greeting cards to connect in today's plugged-in world.